A happy new year to all of you from the Fourward Glass family ! It has been a wonderful year here at the Gallery and we are looking forward to another good one right on Central Avenue in downtown, St. Petersburg. We have had many talented glass pipe artists on display in 2017 including Joe Peters, Nathan Miers, JD Maplesden, Scoz, Dreamlab Glass, Hefe, Steve Sizelove, Natey love, Darby Holm & more. As we closed out the year and begin a new one we are continuing to grow our CBD oil selection. Our Green Roads products, a Florida based and pharmacist formulated CBD, has been bringing us and many of our customers that needed relief. 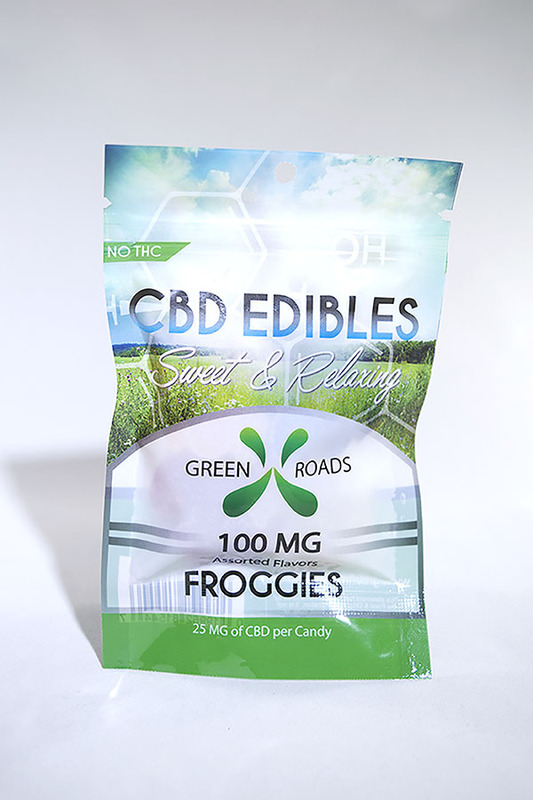 We still carry an array of gummies including 200mg Fruit Snacks, 100mg and 200mg Froggies, and a 60mg gummie block. We are also carrying a 60mg Gummie Pack with melatonin for those looking for a better nights sleep with our CBD oil products. We still carry those little 30mg hard candies and now we stock the Dried Strawberry Vegan Fruit Snack in a 60mg strength. Our CBD oil isn’t limited to gummies. Our vegetable glycerin based oils and tinctures have grown in popularity. The 100mg, 250mg, and 550mg strengths can all be vaped or taken sublingually. We have had many customers really satisfied with the effects CBD oil has had as far as limiting their pain, reducing anxiety, or helping with sleep. We are carrying the 1000mg strength for those looking for an extra strong dose and want something to last. The 150mg strength menthol-infused pain cream is another product we would highly recommend for those looking to ease swollen or aching joints. We are also carrying some pet friendly alternatives for owners looking to get pain relief for their pets at home. The King Kalm 75mg and 150mg strength oils come with a convenient bottle for administering the treatment for their fuzzy friends. They even have a little krill oil in there to help make the medicine more palatable. No pet is spoiled if they are truly loved. The Green Roads terpene oils have been growing in popularity. We have had many customers including the Fourward Glass family using the terpenes to great effect. Terpenes for those unaware are aromatic molecules produced in hemp resin. They are responsible for fragrance, color, and flavor of the plant. The terpenes work in conjunction with cannabinoids to create therapeutic experience. •Be sure to check out our recent drops of Capt’n Cronic Recyclers. •New CBD oil products by Cured Bomb Desserts coming soon! •We strive to be fourward thinking in our community and thank you for your support!